The stakes are high when you are choosing your vacation. 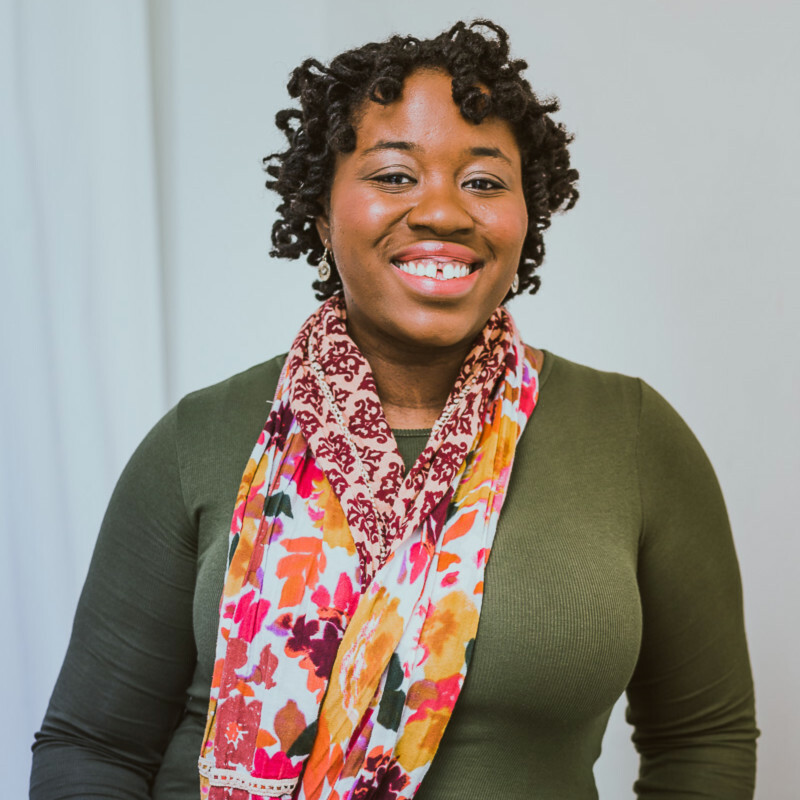 We want vacations way more often than we are able to take them so it's imperative to not squander those coveted days away. My absolutely favorite type of vacation is cruises. Hubs and I have been on three and can't wait for the next one. I'm really looking forward to when BabyCakes is old enough to really enjoy a cruise. 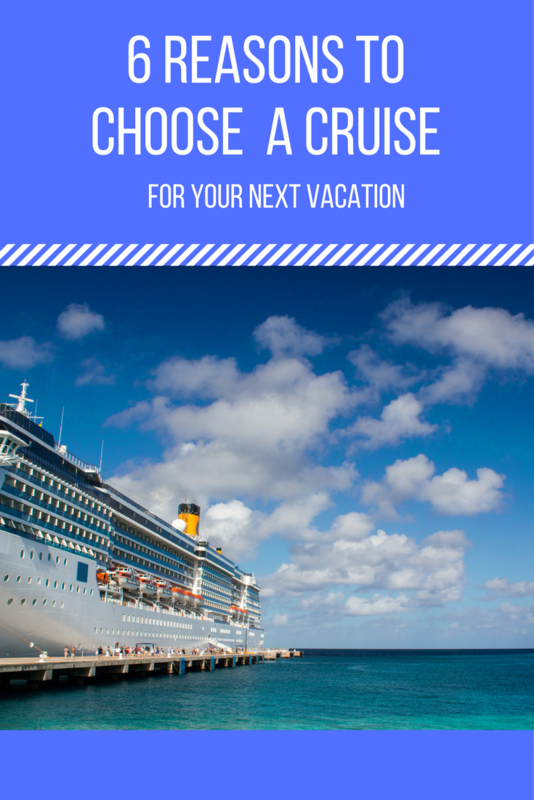 Here are 6 reasons you should consider a cruise for your next vacation. Hassle-less Commute: A cruise offers you the opportunity to go to multiple destinations without having to drive or take a plane to each of them. Between ports you can enjoy food, drink, and activity rather than waiting to get to your next destination. The ship is a destination in itself so it never feels like you're waiting to get to the next thing. Sunsets/Sunrises: I personally believe there is no better way to consume a sunrise or sunset than naked, in the middle of the ocean, on the balcony of your stateroom. It's pretty amazing. I also enjoy stargazing at night on a cruise. 24-7 food: There is so much food on cruises, literally available at any moment of the day. Room service, buffet, fine dining, whatever you are in the mood for. I can't speak for all cruise lines but I know for Carnival Cruise Lines all the food on the ship is included in the cruise cost. Maid service: Having a housekeeper is awesome. Someone cleans the room twice a day. It's fabulous. 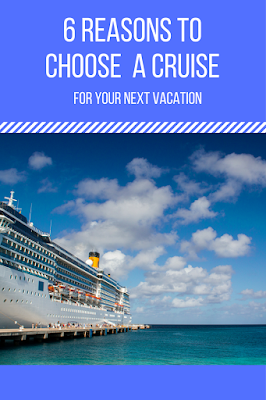 Choose your own vacation style: On a cruise you can make your vacation one of three styles, chock full of activities on and off the ship, being lazy and relaxing in your room, pool side, or on the beach, or a combination of the two. 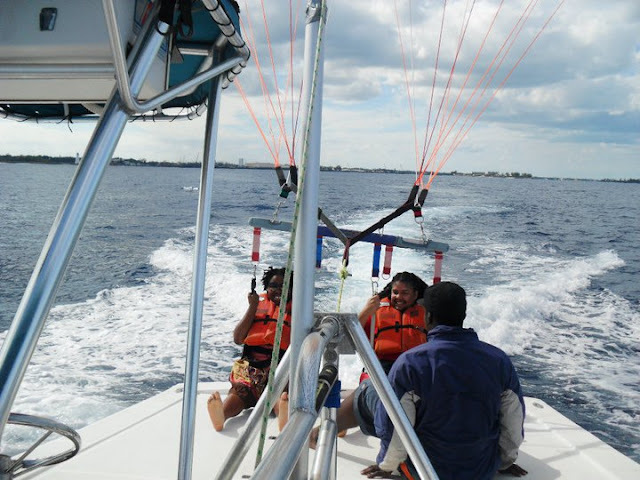 If you are into doing lots of activities and being very social you can do that via ship activities and excursions. If you want to keep to yourself and just relax you can also do that. It's all up to you and it's worth the money either way. Disconnection: There is no cell phone service or internet at sea unless you pay a pretty hefty premium. That FORCES you to disconnect and not worry about what's happening at work or at home and that is what vacations are for! Have you been on a cruise? 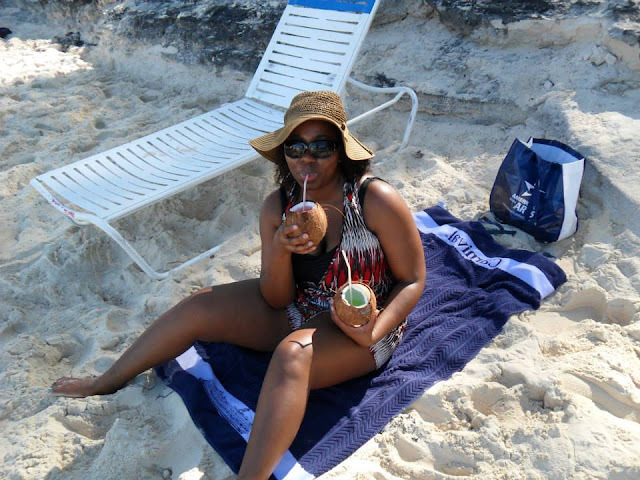 What's your favorite part about the cruise experience? My next cruise is in 4 weeks. I'm so pumped! I love having everything I need right there. Food when I'm hungry, easy access to drinks, instant entertainment all right there. I also love going to bed and waking up somewhere new. That appeals to me on so many levels as a person who adores traveling and seeing new places. I actually LOVE going to the gym on cruises! I love being able to wake up when I want, go to the gym, take a shower, then get ready for the day. There is no need to squeeze the gym into my day, I can just leisurely work out, it's great! haha, I try to be careful with the casino. Gorgeous view! I've only taken dinner cruises. I want to go NOW!!!!!! I've always wanted to go on a cruise but I get seasick so I'm a bit nervous! I've never had a problem but I see a lot of people on the ship with either the wrist bands or the patches behind their ears that seem to work well. A cruise has never been on my bucket list before. But now that the kids are grown up and going off to college, I think I may need to reconsider!